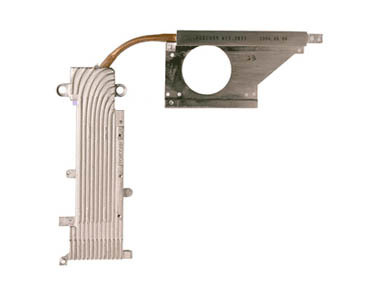 Complete heat sink for the 1GHz, 1.2GHz & 1.33GHz 14" iBook G4 models. This composite assembly clamps down onto the processor and graphics chip to provide cooling. tha main cooling fan screws into this heat sink.